According to statistics provided by Assocomaplast (the Italian association, belonging to CON-FINDUSTRIA, that groups together some 160 manufacturers), Italian imports and exports for the sector recorded new gains in the first half of 2012 with respect to the same period in 2011. Imports, albeit slowing compared to previous quarters, grew by +6%, approaching 300 million euros. This result is a clear reflection of the persistent and extreme weakness of the domestic market. A more marked increase (+11%) was witnessed in exports. After a relative weakening in early 2012, sales abroad have regained momentum, particularly in the second quarter, exceeding 1.23 billion euros overall. This has produced measurable improvement in the balance of trade, which has reached figures well in excess of 900 million euros. Regarding the principal types of machinery exported, extruders, accounting for roughly 12% of the total, continue to record double-digit growth, approaching twenty points with respect to last year. 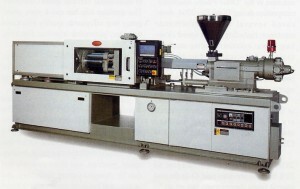 Approximately half of the extrusion lines sold abroad were directed to destinations within Europe. Good performance was also observed for blow-moulding machines (+16%) and moulds (+28%), which represent 28% of the total. On the negative side, exports of injection machines have fallen off (-14%), primarily due to a slump in European sales, especially to Russia. On the continental scale, sales of machines and moulds are climbing in the Americas, especially in the NAFTA area, with Mexico leading the surge. Brazil, on the other hand, represents an exception. The economy in this important export market has recently shown signs of a loss in momentum, and this is coupled with difficulties of access for many manufacturers due to high customs duties. Sales are also climbing in Europe, especially in extra-EU markets. And although the values are significantly lower, exportation is also increasing toward African countries (especially those in the sub-Saharan area) and to Oceania. On the contrary, stagnation is witnessed in sales to Far Eastern markets as a result of lower Chinese and Indian demand, while exports to the Near and Middle East are falling, probably due to the unstable social and political situation there, compounded by export restrictions to countries such as Iran and Syria. The ranking of the top five destination countries for Italian exports of machines, equipment, and moulds for plastics and rubber in the first half of 2012 is as follows: Germany (14.7% of the total; +9% with respect to January-June 2011), France (6.3%; +5%), Russia (5.5%; +61%), United States (5.5%; +10%), China (5.1%; -7%).